Deck Railing Tables Add to Flipboard Magazine. I am in love with these Deck Railing Tables!!! I have a small deck. With the BBQ on it and a chair, there isn’t room for much else. This is a simple solution to an age old problem. Think how great this would be next to your grill for extra cooking space, or as a side table for outdoor entertaining. You can even use it as a potting bench or worktable for easy gardening jobs. There are two different ways you can use it. Either with the table over the edge to free up space on the deck, or turn it around and have it over the deck to use for as a table. 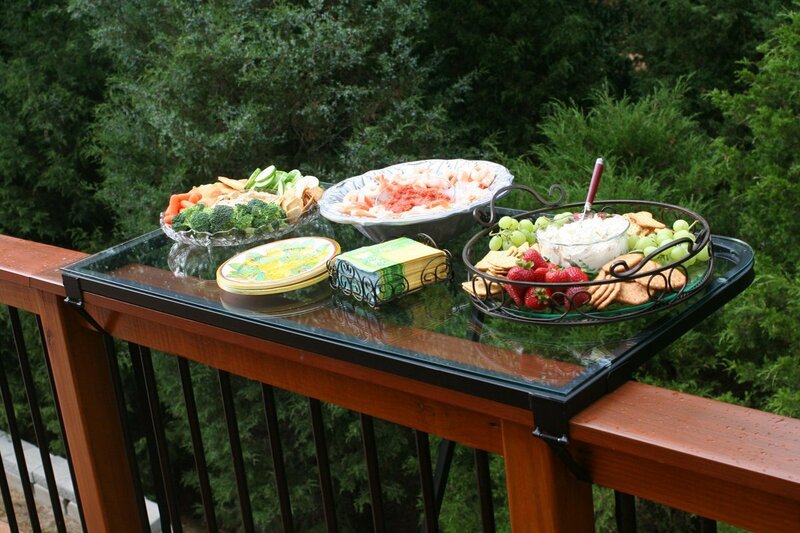 The table top is made of durable acrylic, so you don’t have to worry about glass breaking. 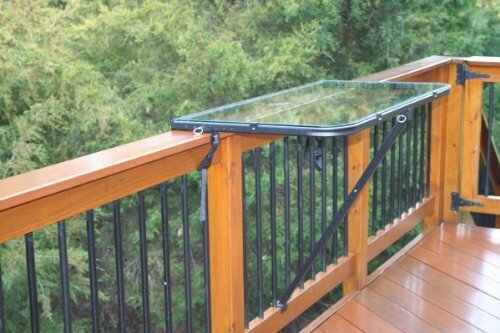 Although, the max weight for this deck railing table is 100 pounds. So don’t sit on it. You can leave it outside all year long because they made it with powder-coated aircraft-grade aluminum frame. It will stand up to anything. Then it has straps to make it extra strong and a telescoping arm to keep it secure. 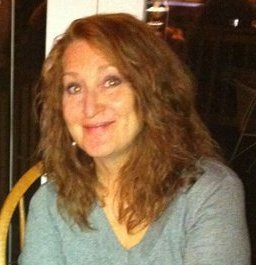 It’s really easy to get it off and on with no hassle at all. I thought this was such a perfect idea. I wish I had thought of it. Love this one, except it does not fold down. It comes in White and Black. Folding Deck Railing Tables are perfect if you want the room sometimes, but not always. These fold down so they are still handy, but out of the way. The Esschert Deck Railing Tables is a design from the Netherlands. There companies mission is to always bringing you original gift ideas for those of you who love the outdoors and want to spend more time in it. I think they did a good job with this deck railing table. I love the green color.